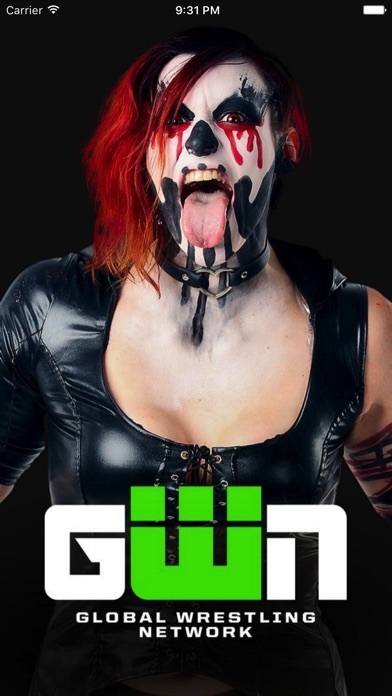 Very good, quality app for Pro-Wrestling. One of the best out there in sports entertainment. The GWN app is great. It has so much to watch from the early days to present. The only thing is I wish they added check marks to what you’ve watched. It would be really helpful, especially because there is so much content to watch. Not saying I want content for free, but it would be nice if I could see what videos were posted in a category before deciding to subscribe. For example, Exclusive Events, Hidden Gems, and Classic Compilations - it would be nice to see what videos are in these categories before subscribing. 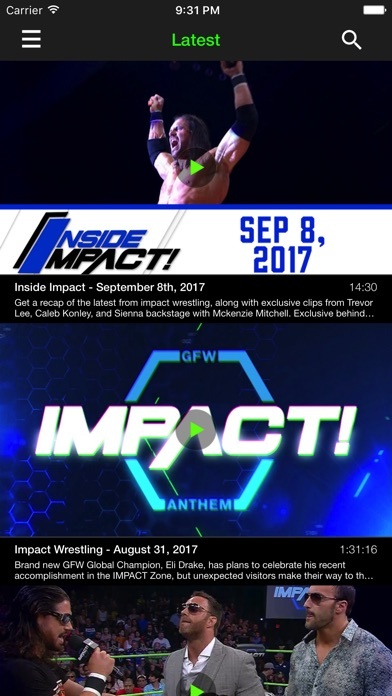 WWE Network lets you see what they have before subscribing. You basically have to subscribe and pay for any sort of content. Take a look at ROH or WWE app if you want a good app. TERRIBLE! They got a huge library of content but no organization to find exactly what you are looking for. They pretty much have a tab notifying you that they have added more content but then proceed to encourage you to find it in a pile of content they have given you. Also, why can’t I find all of the latest ppv’s on the app. Wwe network gives you the latest pay per view events just for being a member. For $10 a month I’m garunteed to watch all upcoming ppv’s the second they are live through their network. I heard this years Slammiversary was so good this year. I can only give up to last years event. Do I need to wait a year? Is there a better membership I need to enjoy it? Am I expected to pay full price for the event? If so why am I even paying for a product that provides me less then expected? App freezes at the splash screen unless my phone is connected to wifi. 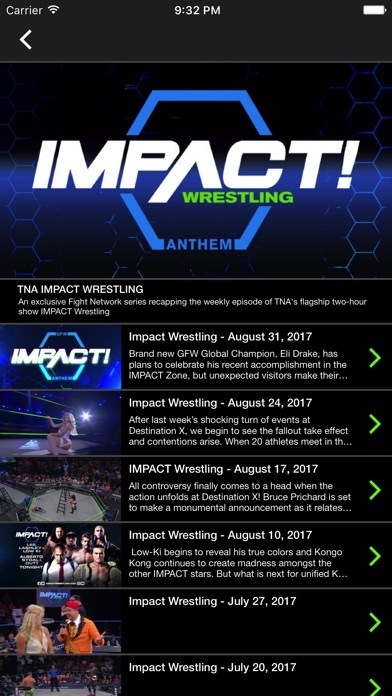 When will live ppv be part of this app like all other wrestling apps?